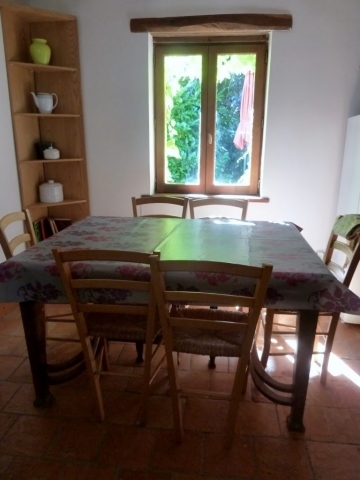 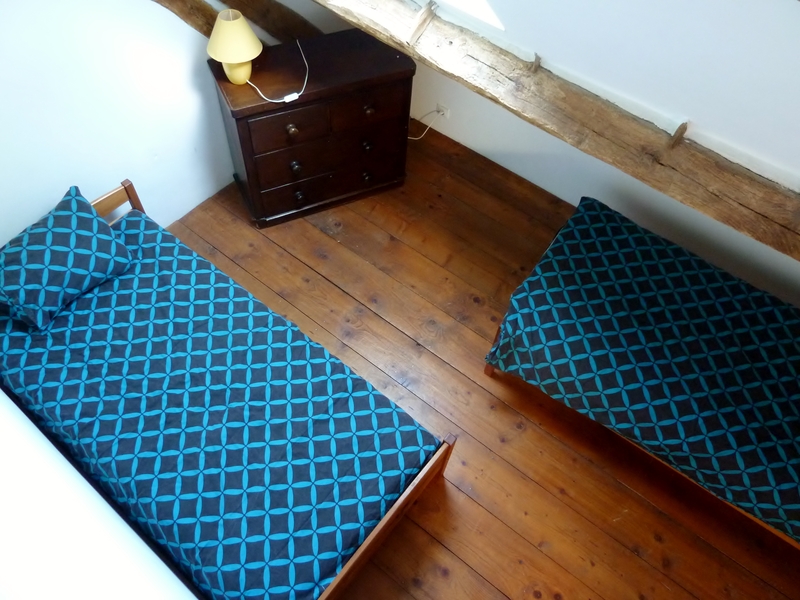 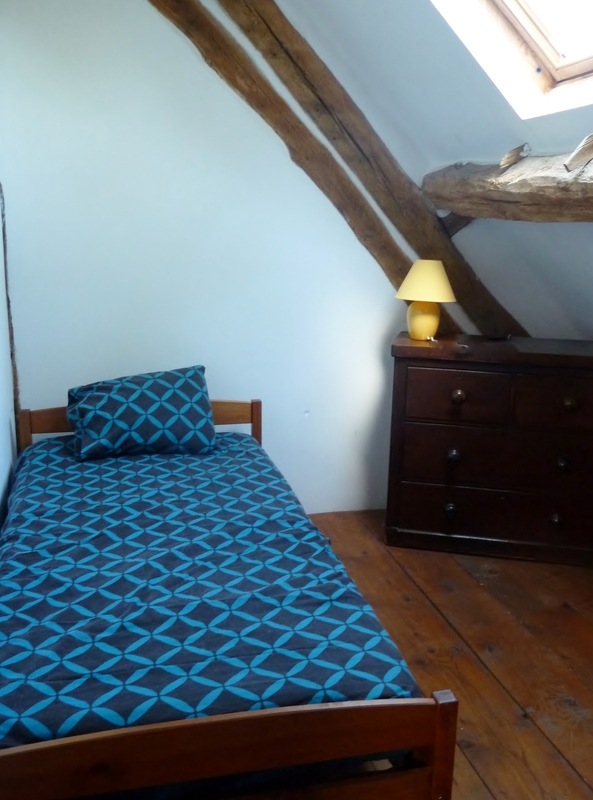 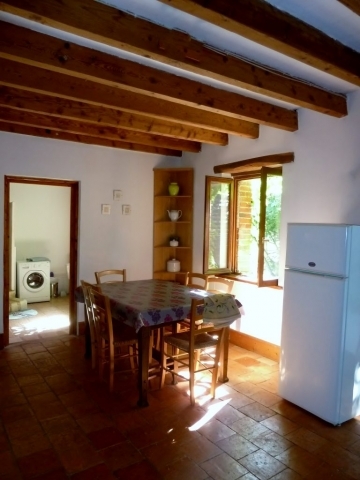 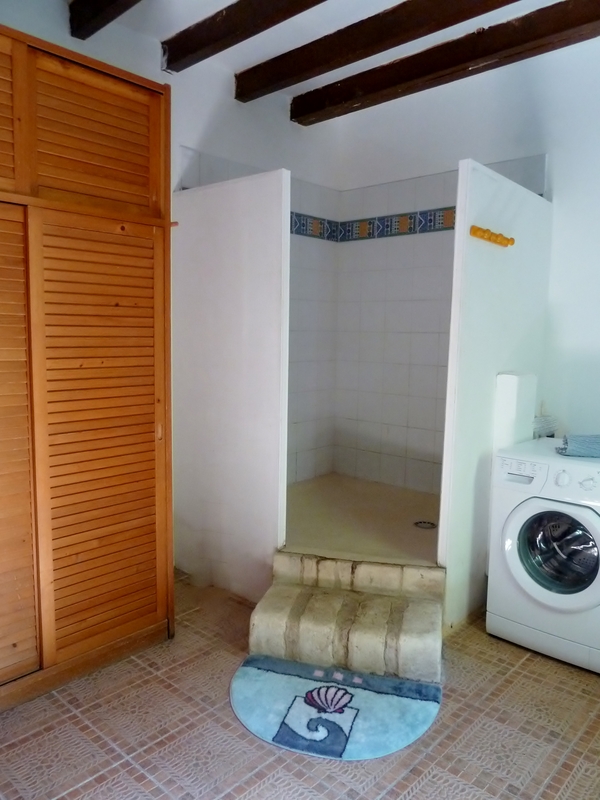 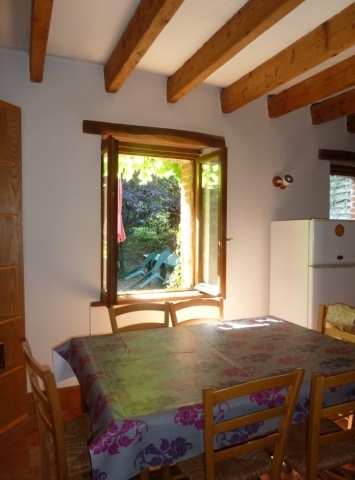 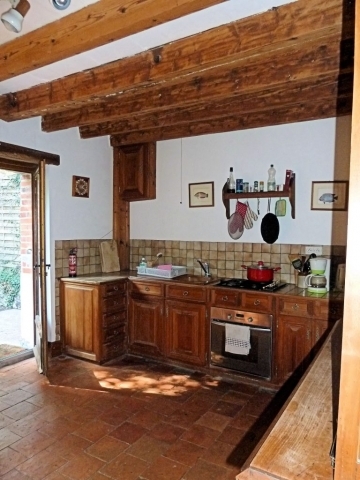 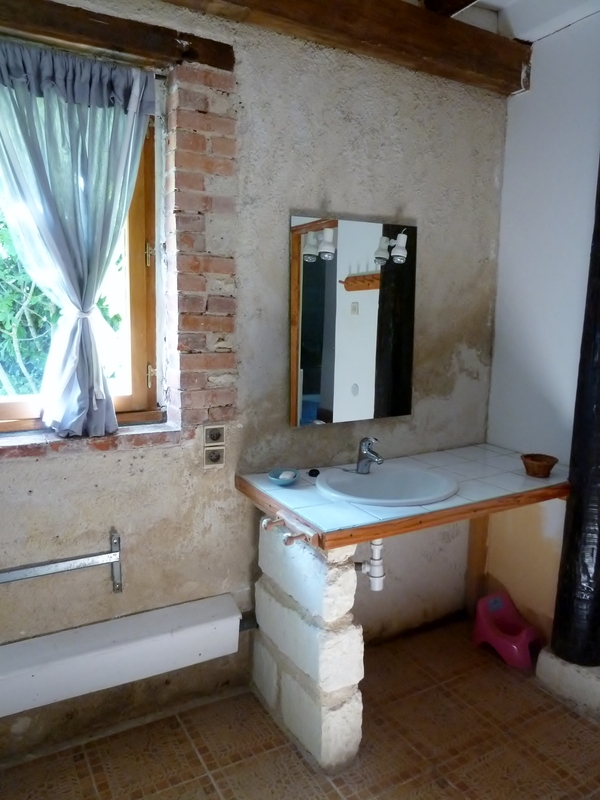 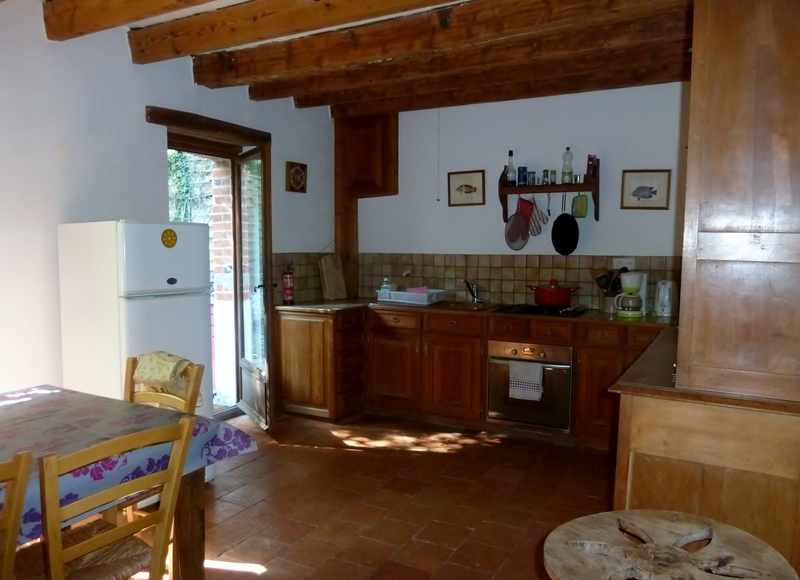 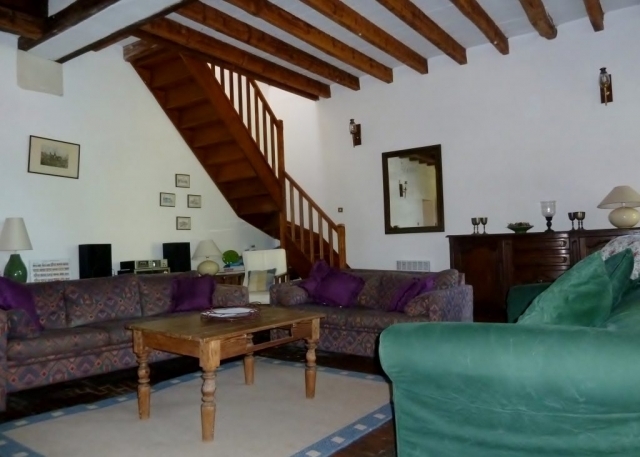 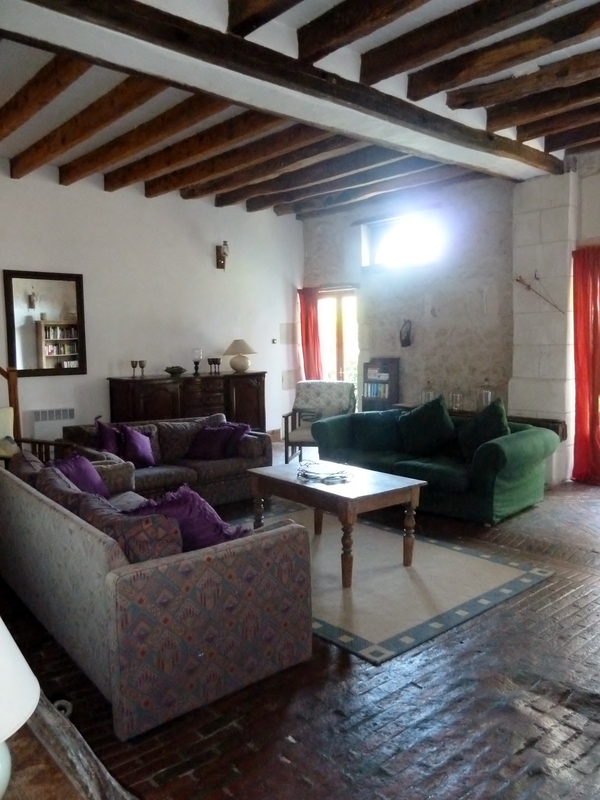 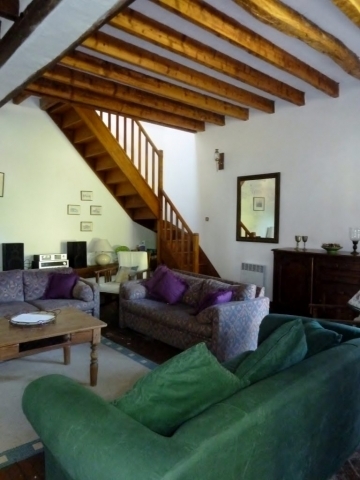 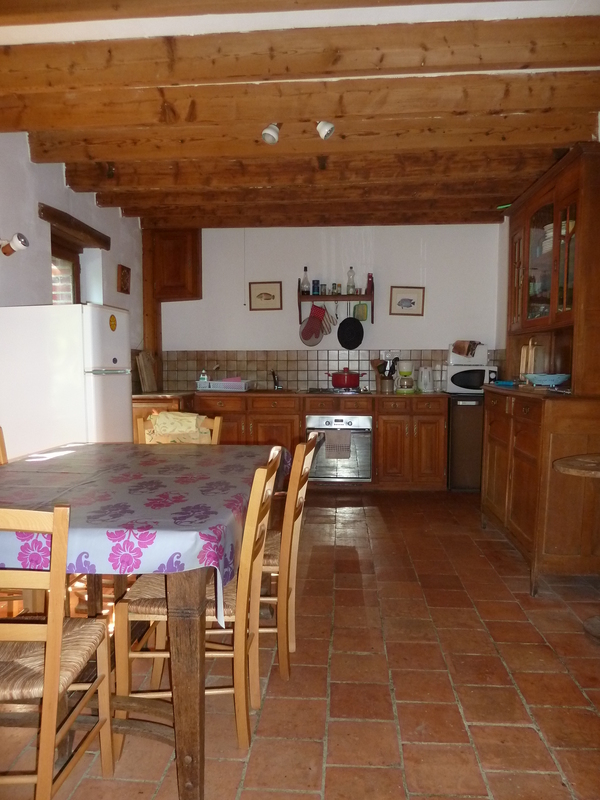 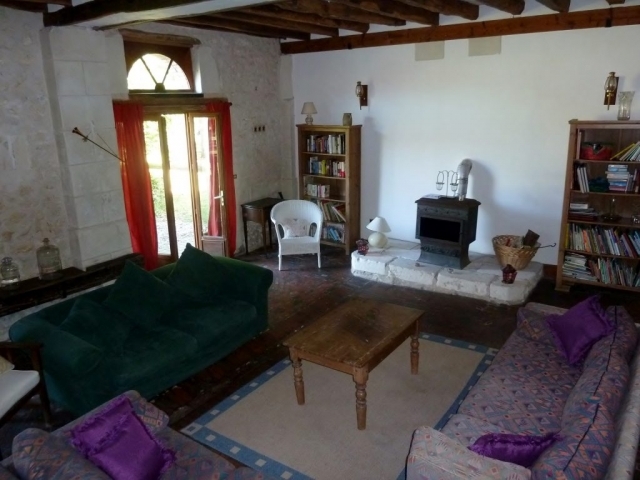 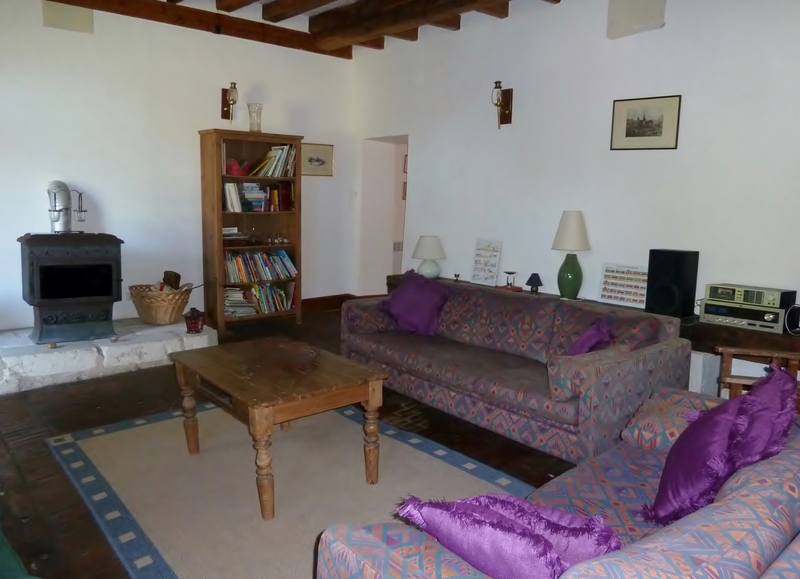 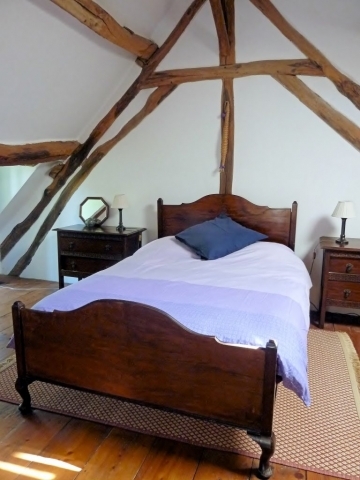 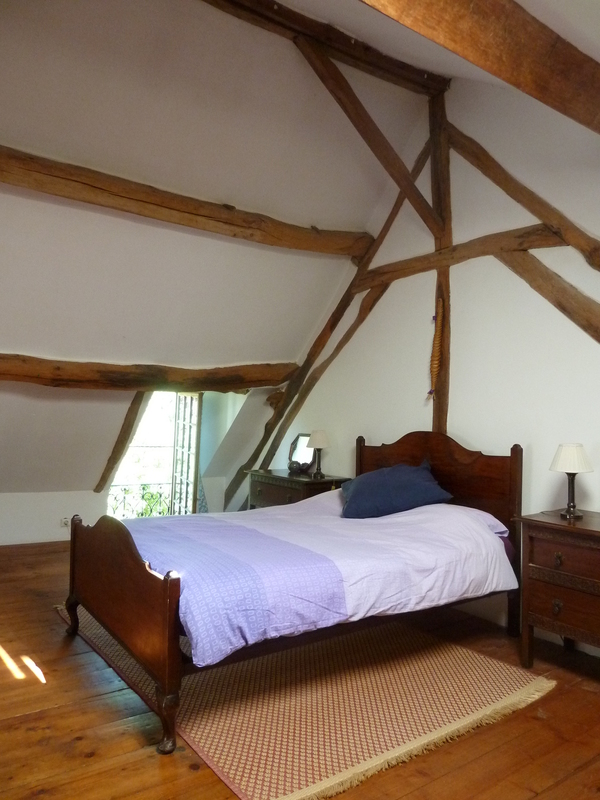 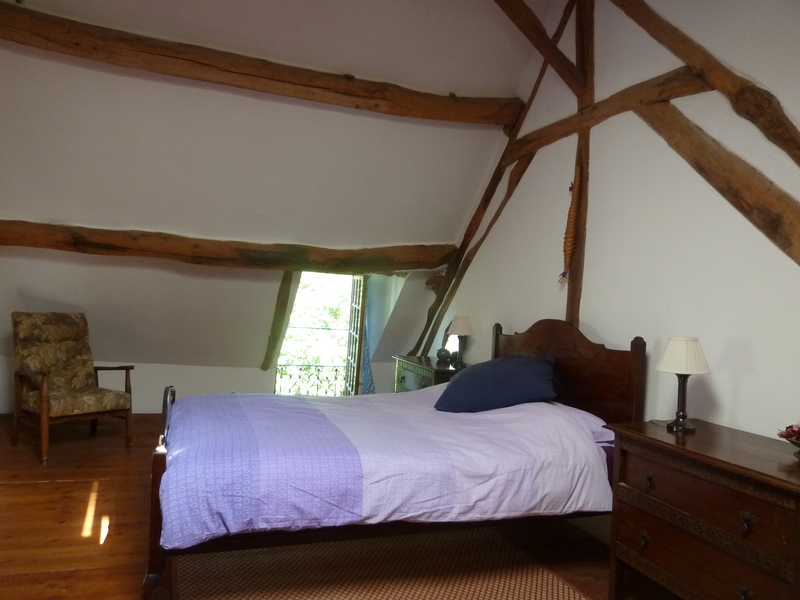 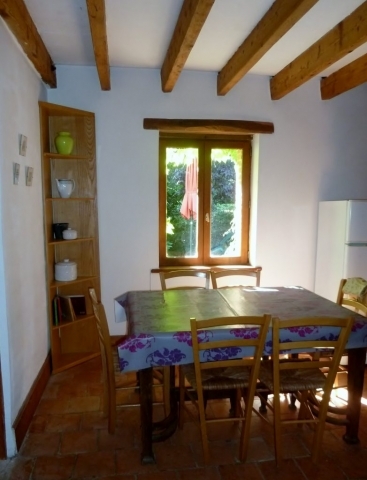 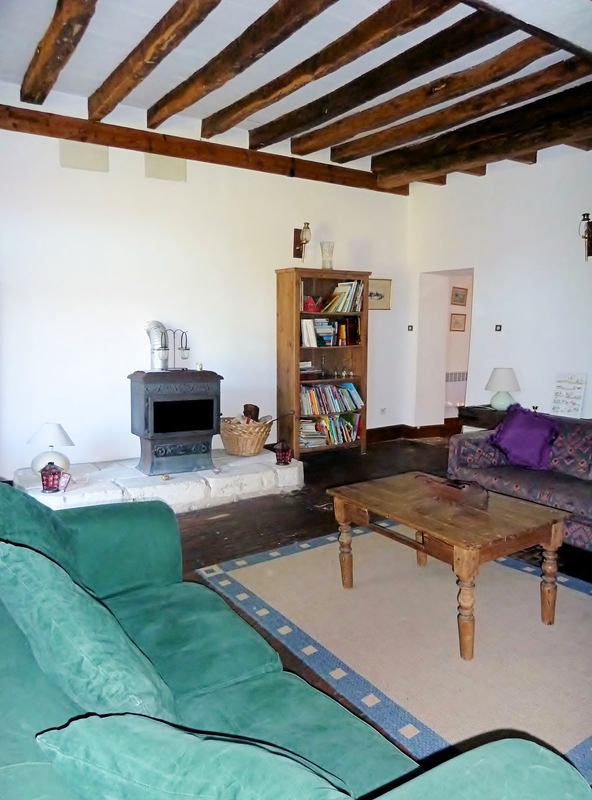 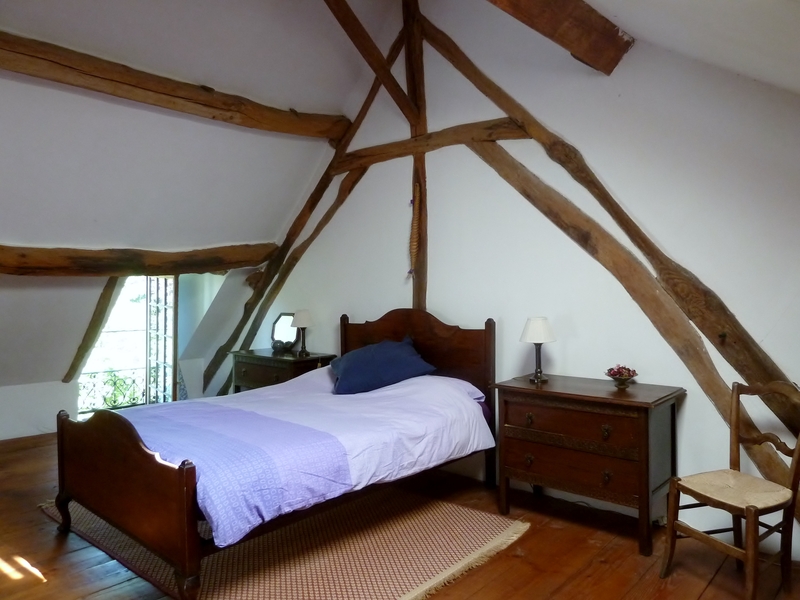 A lovingly renovated cottage set around the courtyard garden of La Juberdiere. 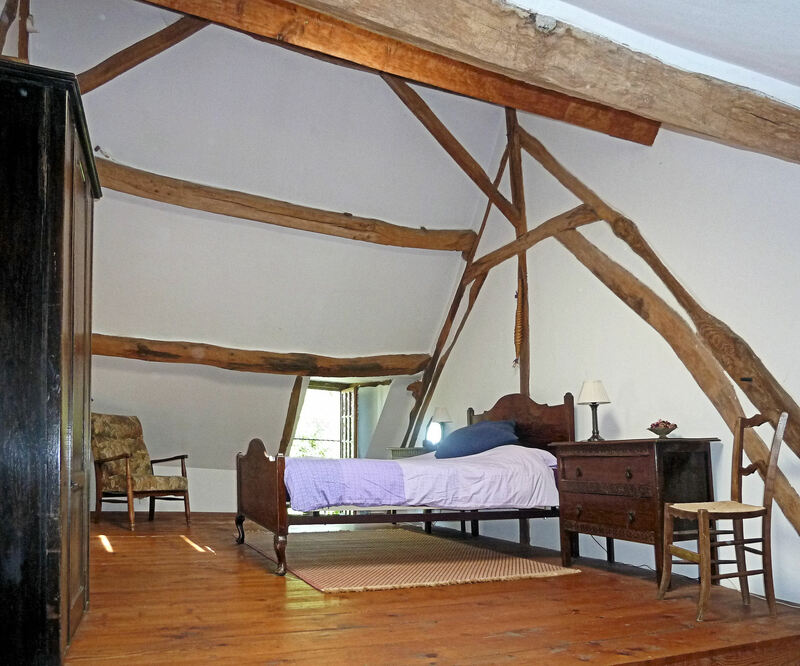 Just 2kms from the village of Loché sur Indrois – La Juberdiere is set on its own grounds of about 2,5ha. La Sellerie has an original feature living room, with an original herringbone brick floor, very high ceiling and wooden beams. 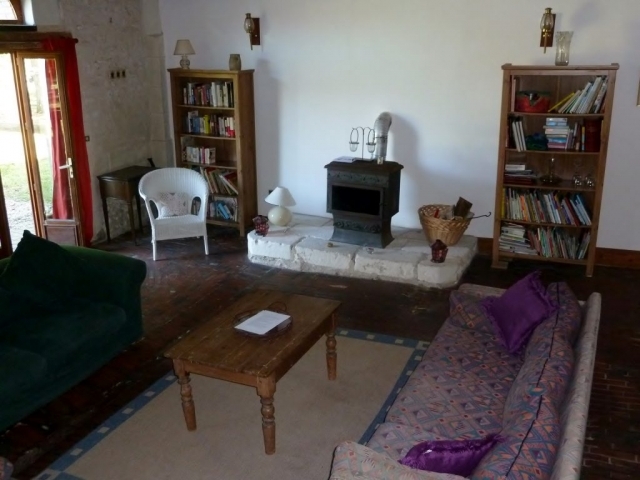 Two big sofas and a couple of armchairs. 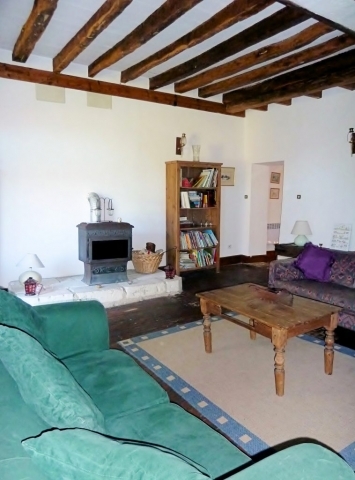 Keep warm or add a bit of romance by lighting the wood burning stove ! 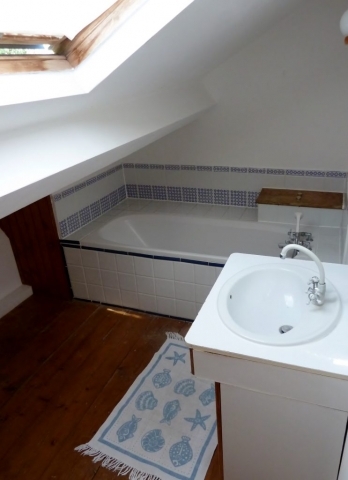 At the back of the house there is a fitted kitchen with a door going out onto the private terrace. 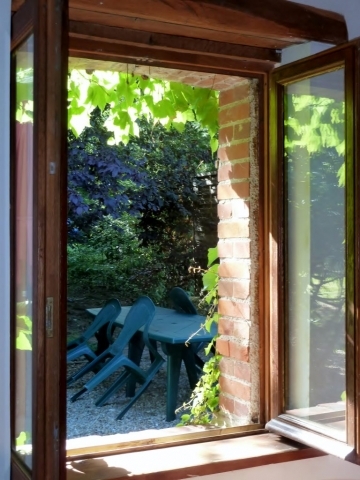 Al fresco dining or taking the sun – the kids can play in the back garden and just behind a hedge of trees – the shared pool. 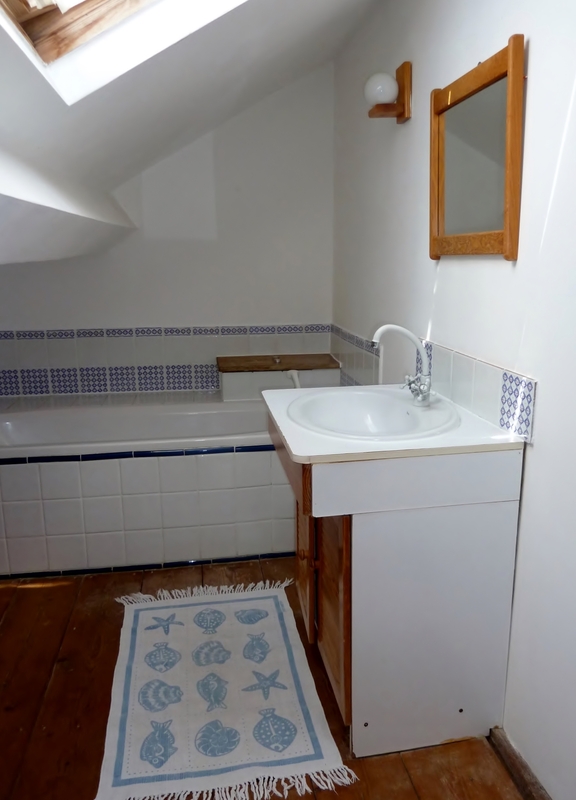 Downstairs bathroom, big shower and toilet. Upstairs another bathroom, toilet and the two bedrooms (a double bedroom with baby cot and extra single bed, the other bedroom with two single beds and a sleeping platform under the rafters). Enjoy the wines of the Loire – visiting vineyards, going out to the local restaurants – or enjoy a meal in our own onsite bar/restaurant. 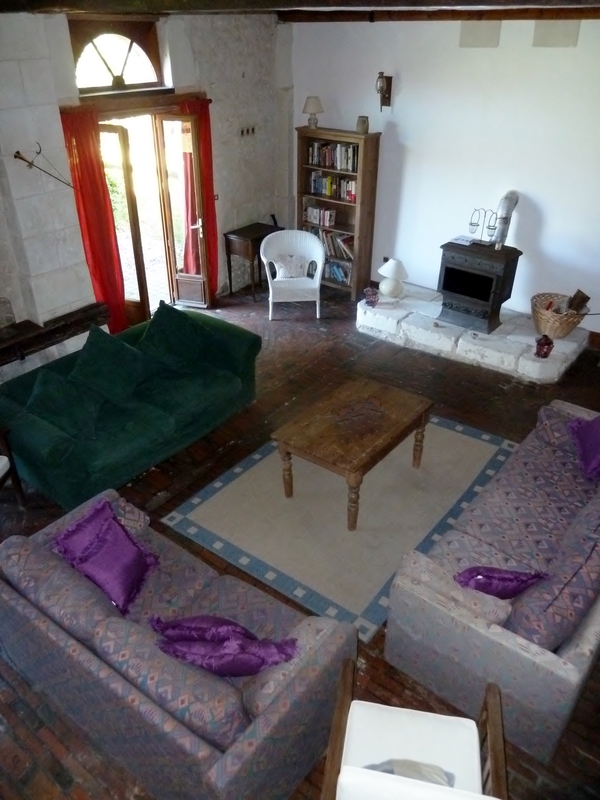 All the major Chateaux of the Loire in easy driving distance. For the kids there is a Zoo (Zoo de Beauval) and a wildlife reserve (Parc de la Haute Touche) very close. 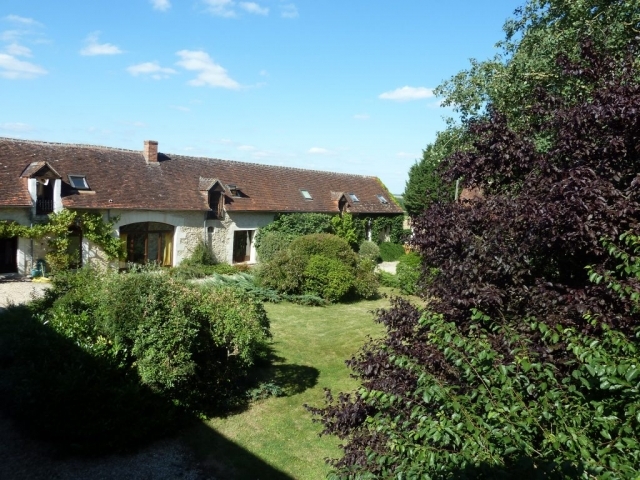 The lake district called La Brenne only 40 mins away.